In one of my older videos, I tested an audio power amplifier circuit by Douglas Self  on a breadboard. Embedded content has been disabled to protect your privacy. After that evaluation showed how great the design really is, I decided to create a real PCB design for it so I can actually use this as one of my daily use amps. 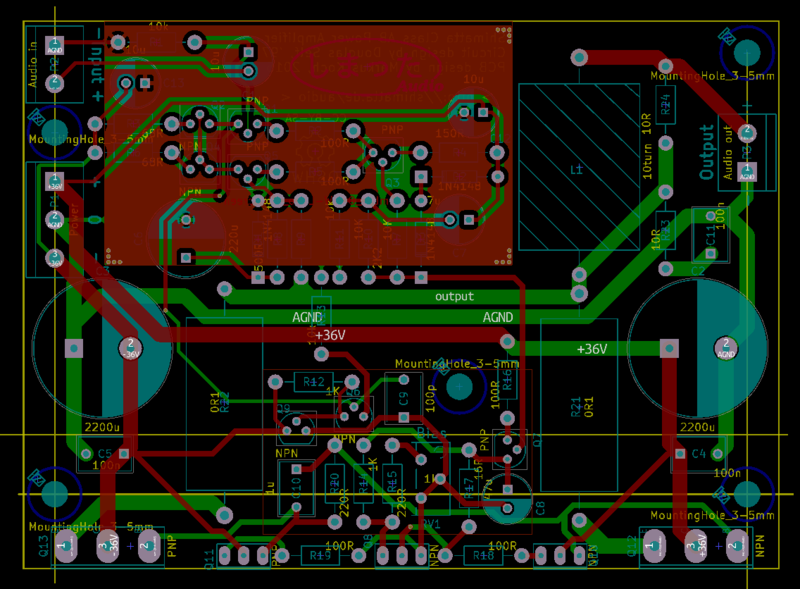 The entire project, designed using KiCad, is available over in my git repository . KiCad  is free and open source software, so just download and install it to open the project. Please note that the drilling on the pads for Q8, Q10 and Q11 is a bit too small in the current version. 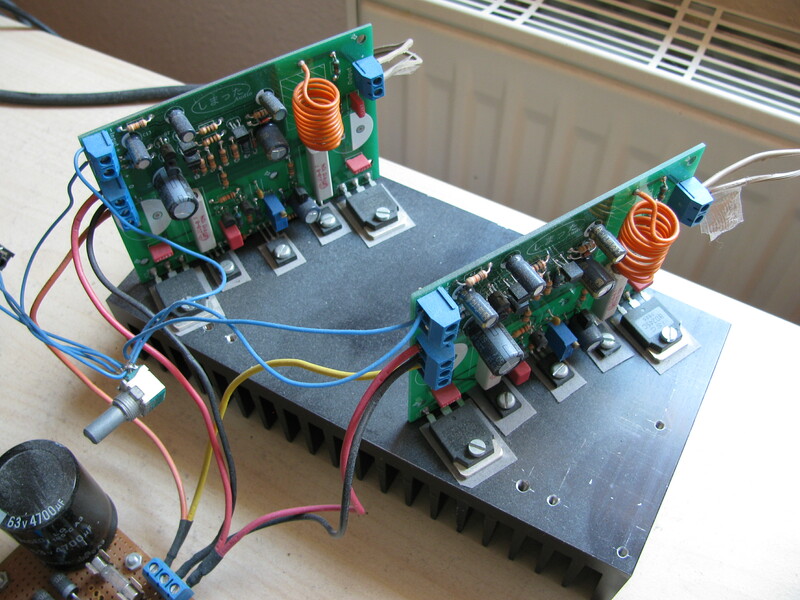 You might want to correct this if you intend to build an amplifier using this layout. Also note that the component designators differ between my schematic/layout and the ones on the original schematic by Douglas Self. I also added an additional resistor (Rtodo) as I saw excessive current through the nearby components when clipping. PS: Yes, the main filter caps directly on the module are not fitted atm as they would block access to the screws of the power transistors. Should I ever finish the project in the future, I might make another video about it. If you have any questions until then, don't hesitate to contact me via email.